Recently I inspected a house where I encountered some fairly serious moisture problems near some windows. The home is only seven years old with stone exterior and full gutters. Two windows at the front of the house showed evidence of moisture intrusion in the form of peeling paint, stains in the drywall below the window and insect activity. The homeowner reported to me that termite activity had recently been discovered outside the home under these windows. Termites generally will not be present without a source of moisture in the wood they are attacking. The homeowner thought the irrigation system might be the culprit and that is a valid concern. Your irrigation system should be carefully installed and monitored so that water is never directed on to the structure during irrigation periods. However, in this case, the moisture was coming from poorly thought out and installed rain gutters. Rain gutters are meant to prevent water accumulation near the foundation. Any gutter installation should be evaluated with this in mind. If the gutter isn’t necessary to prevent poor drainage at the foundation, it probably should not be installed. Gutters over a concrete driveway are a good example. 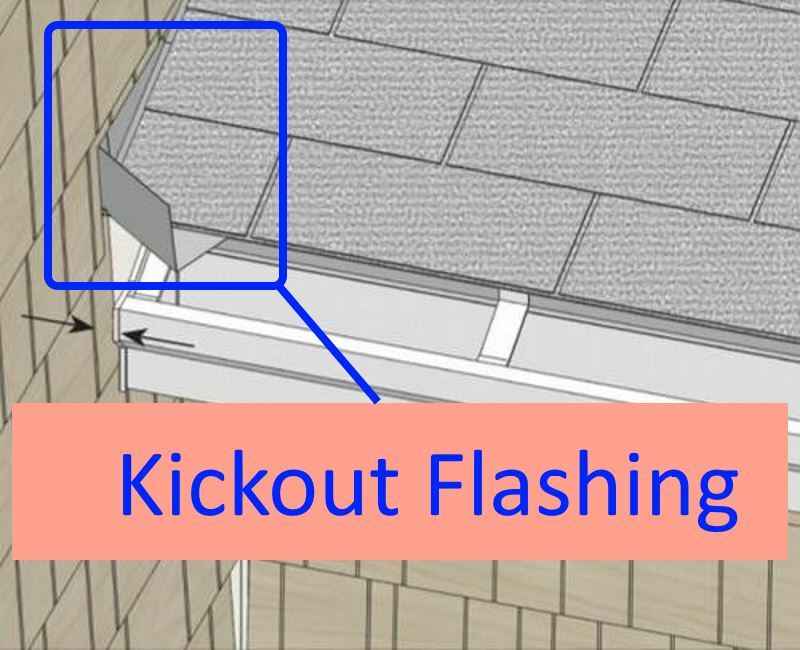 Rain gutters impede and re-direct water flow off the roof. Improper planning and installation can cause moisture intrusion problems as in this instance. 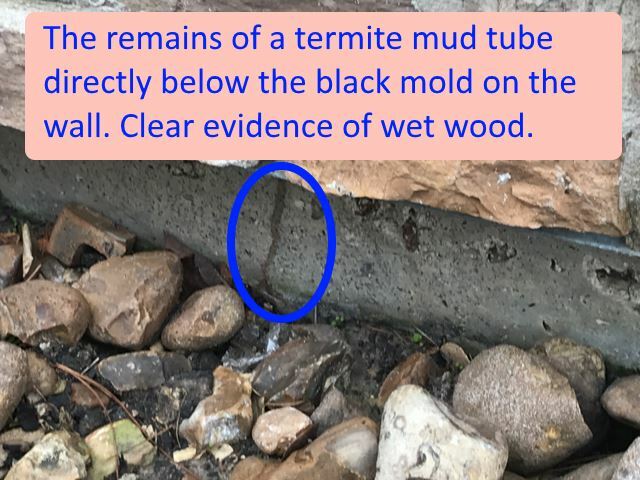 The gutter at the base of the garage roof was not installed with proper flashing and kick-outs with the result that water flows down the stone veneer and penetrated the structure, damaging the structure and creating ideal conditions for termite invasion. 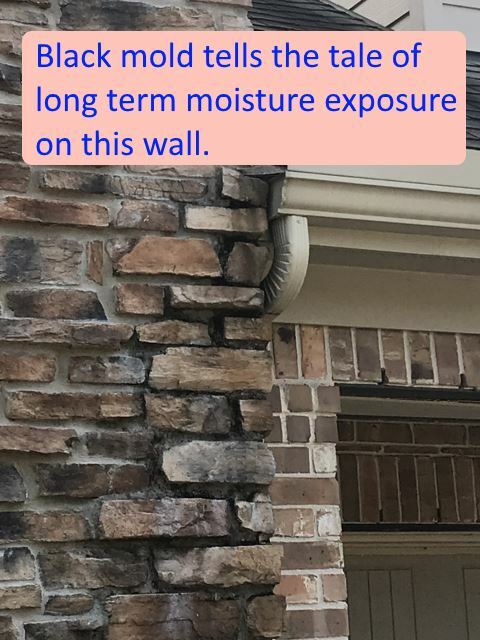 In order to correct this, the gutter could be removed and a kick-out flashing installed to direct water away from the stone veneer. 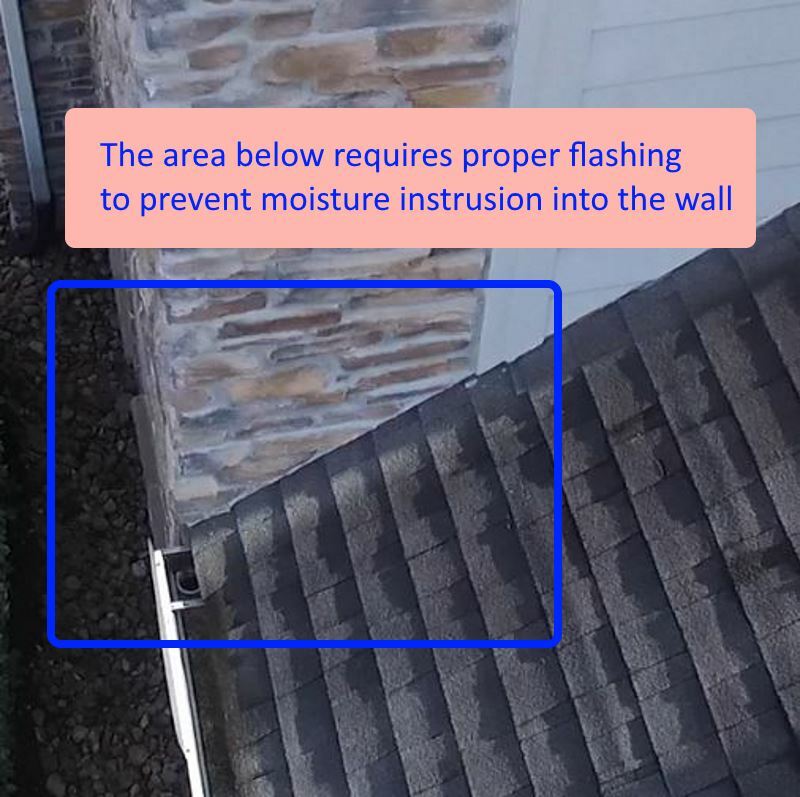 If the gutter absolutely must stay, it is imperative that it be designed to direct all possible water flows away from the stone and into the gutter system.